What's next after the flowers have bloomed? 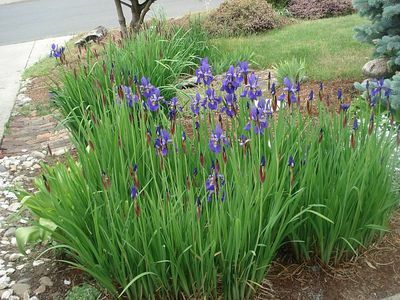 My Japanese Iris's are almost finished blooming, is there anything I should be doing to it other than removing the dead ones. I don't want those giant brown fronds all over the yard in the Fall and all Winter, so when do I do something. Thanks for your help. That's a difficult one, Harli, as the leaves are needed to build up the bulbs for next year. Snap off the dead heads and leave the foliage alone until it is dead - then you can clear it away. Make a note of where the clumps are, though! Thank you Spritz, that is what I shall do.